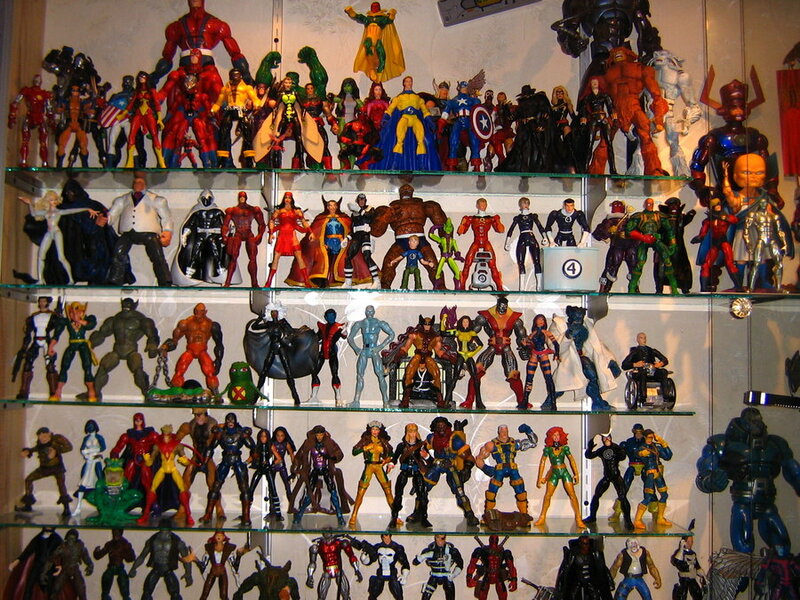 Action figures are becoming more popular among collectors and avid franchise fans. Who would have thought that children’s toy could sell for thousands in auctions years later? One way of keeping your collection in pristine condition that your family can enjoy for years is by observing proper storage, display and handling. 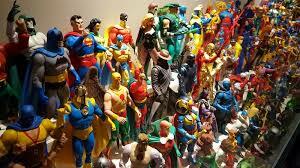 Most action figures are made from plastic, particularly PVC. Although plastic is a sturdy material, it can still deteriorate when exposed to heat and even fluctuating room temperatures. Heat will also melt the paint. Some can even feel sticky and the plastic also bubbles. 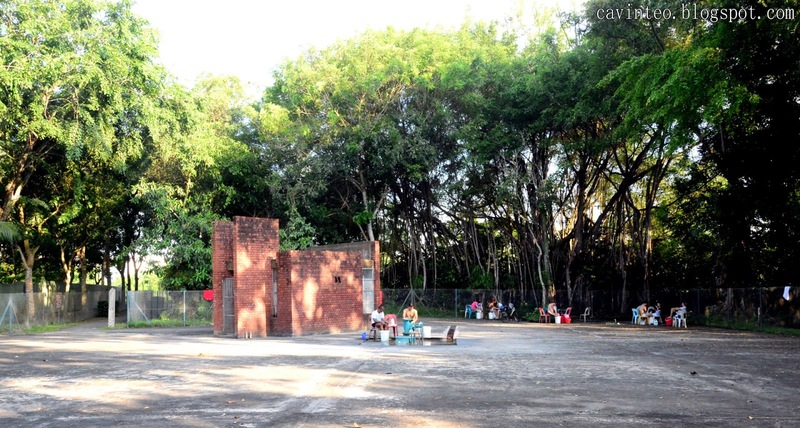 Direct and prolonged exposure to sunlight can damage the paint and plastic. If you store the figure in its original box, even the plastic that keeps it in place will melt and discolor. You should also watch out for some types of bulbs that can cause a slight rise in temperature, so use only LED lights for your display cases. The materials have a tendency to become brittle when placed in very cold environments. The figures could crack and expand too. 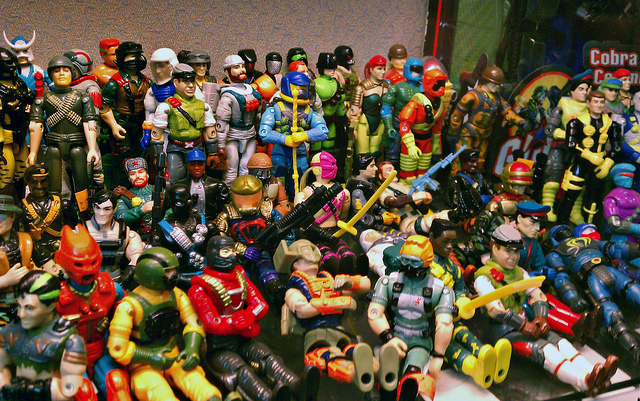 When not stored properly, the figures could be home for mold. The moisture will also damage the boxes and the electronic parts and batteries could rust. When cleaning your figures, make sure to dry them thoroughly because the joints could weaken as well. Don’t seal your collection in air-tight plastic bags or containers for prolonged periods. You need to air them out once in a while because dryness could rot the items. You wouldn’t want them to break down either because of too much exposure to air. If you’re not planning to display them, store them using materials which can seal off as much air as possible. Dust doesn’t damage the material but it can lessen the quality of the figures. Frequent cleaning could also cause scratches and for the paint to fade. Use canned air or gas duster especially on parts that are difficult to reach. Other collectors also recommend the Swiffer duster for action figures. Never crowd all your figures in a small display case. If possible, place them in glass containers so they don’t get knocked off and fall to the floor. Accessories and limbs could break or loosen. Keep them out of reach of children if you’re intending to sell them in the future. It’s recommended to wash your hands when handling your collection. The dust, dirt and oil on your hands can stick to the figures. Over time, the parts will have a “used” look in them. The value deteriorates and you won’t be able to sell them for a higher price. Not all types of materials can be washed with soap and water. Some figures which are made of plastic might also contain stickers, decals and accessories that can’t be submerged in water. Instead of soaking, use q-tips to clean the figure.